The EERAM I²C PICtail™ Kit demonstrates the features and abilities of the 47C04 and 47L16 I²C EERAM devices in standard development platforms. 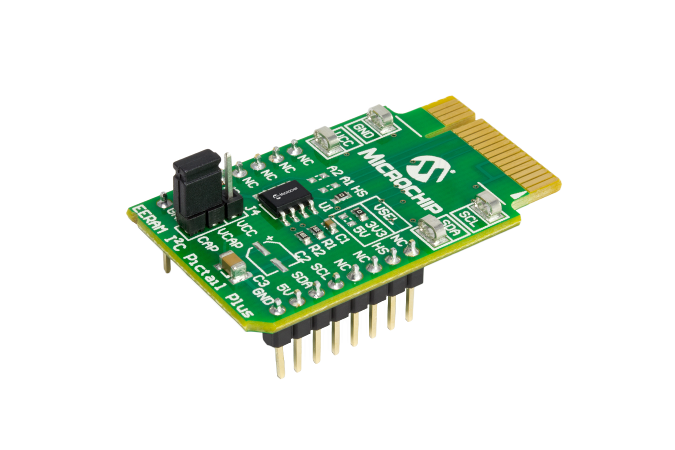 By designing this daughter board with the PICtail Plus and mikroBUS™ connectors, it will operate with the Explorer 8 Development Board, the Explorer 16/32 Development Board, and many other tools. Package contents includes an Info Sheet and two EERAM I²C PICtail Plus Daughter Boards: (a) 47C04 (4 Kbit, 5V EERAM) and (b) 47L16 (16 Kbit, 3.3V EERAM). Designers of Serial EEPROM applications can enjoy the increased productivity, reduced time to market and rock-solid design that only a well thought out development system can provide. 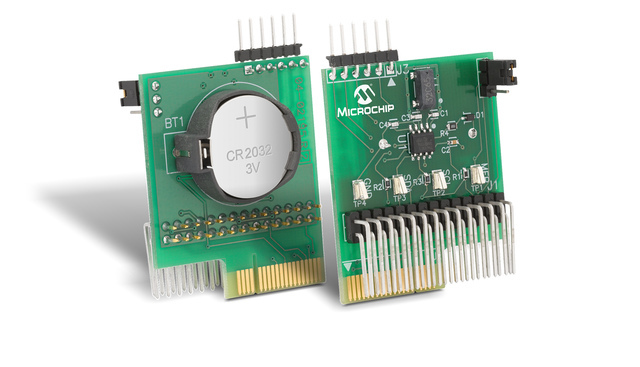 Microchip's MPLAB® Starter Kit for Serial Memory Products includes everything necessary to quickly develop a robust and reliable Serial EEPROM design, and greatly reduces the time required for system integration and hardware/software fine-tuning. 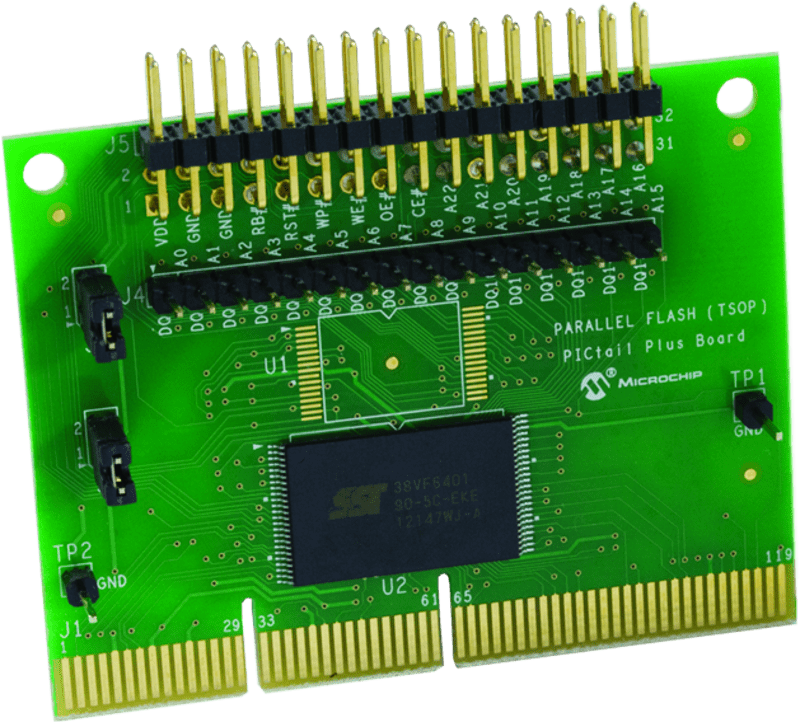 The Parallel Flash PICtailTM Plus Daughter Board is an evaluation board designed to interface with PICtailTM Plus connector found on the Explorer 16 Development Board. The Parallel SuperFlash® Kit 1 contains two Parallel Flash PICtailTM Plus Daughter Boards. The Serial Memory Single-Wire Evaluation Kit (DM160232) is an easy-to-use interactive user tool to demonstrate the best in class features, functionality and low-power operation of the AT21CS Series Serial EEPROM devices. 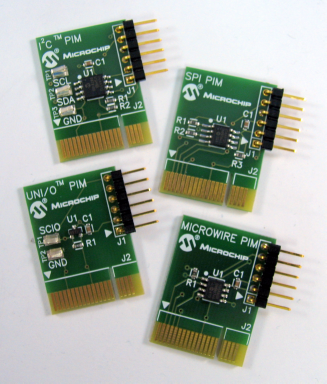 The evaluation kit is for engineers, developers and decision makers to allow for fast system prototyping using the Single-Wire Interface (SWI) protocol. The Serial Memory Single-Wire Evaluation Kit includes a Graphical User Interface (GUI) which allows the user to configure, demonstrate and personalize the single-wire Serial EEPROM device. Note:	## indicates one of eight slave address combinations. Please see the corresponding device data sheet for more information about these slave address combinations​​. 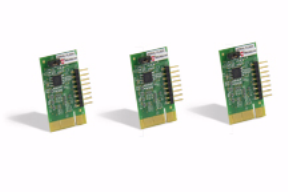 The Serial SuperFlash® Kit 1 allows evaluation of SST Serial Flash Devices which are made using the SST SuperFlash® technology. The Serial SuperFlash® Kit 1 contains three Serial Flash PICtail™ Plus Daughter Boards. 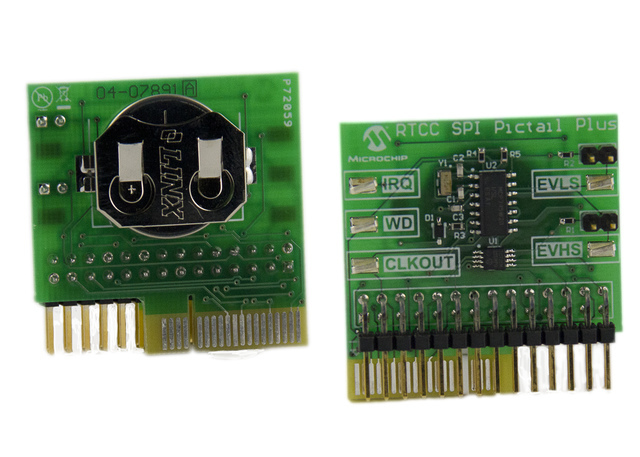 The Serial Flash PICtail Plus Daughter Board is designed to interface with PICtail Plus connector found on Explorer 16 development board. 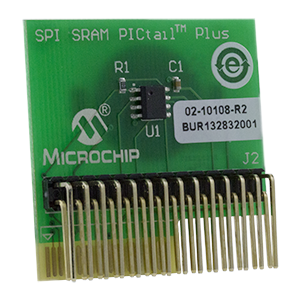 The AC164151 is a PICtail™ and PICtail Plus development board that demonstrates the features of the 23LCV1024 1 Mbit Serial SRAM with battery backup on standard development platforms. 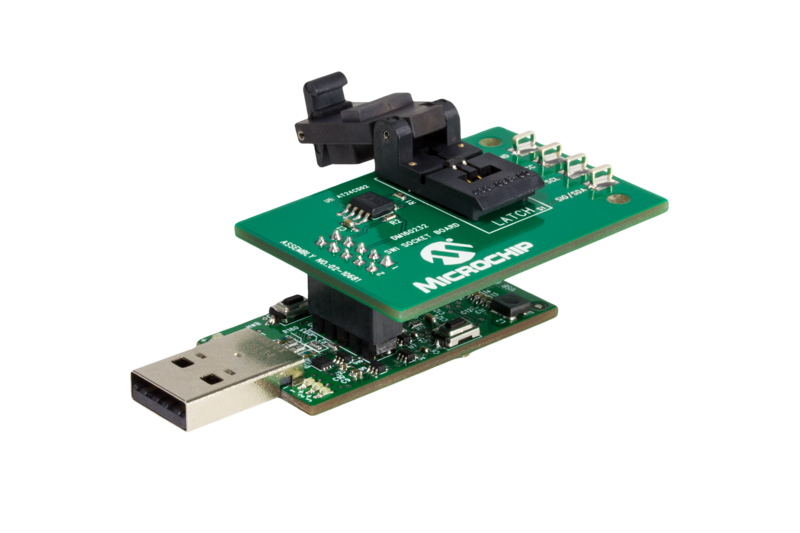 The SQI SuperFlash® Kit 1 allows evaluation of SQI Serial Flash Devices which are made using SuperFlash® technology. The SQI™ SuperFlash® Kit contains three Serial Flash PICtail™ Plus Daughter Boards. The kit is designed to interface with PICtail Plus connector found on Explorer 16 development board.